Give your eyes a treat with the reading mode on your OnePlus 5/5T! One of the best things about the OnePlus devices besides their value for money hardware is their closer to Stock Android version of OxygenOS. While the experience of their exclusive OS is pretty much like the stock Android, they add a lot of additional features without ruining the overall feel of the OS and some of these features are exclusive to the OnePlus devices and are really useful. 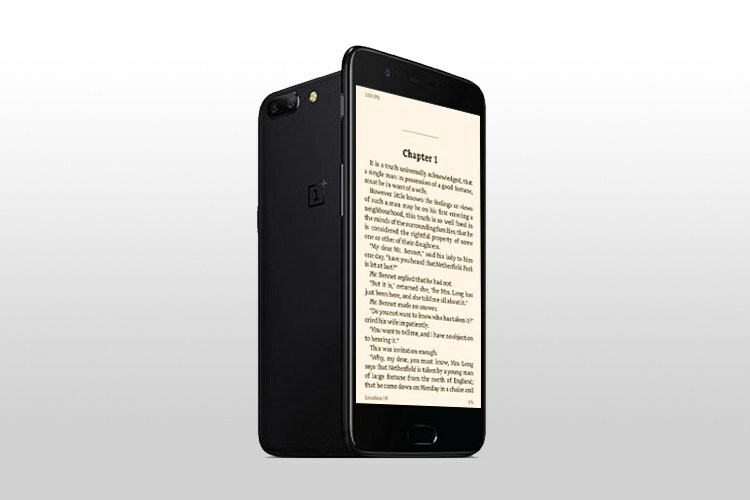 One such feature of the OnePlus’s OxygenOS is the reading mode, which is somewhat similar to the one in Amazon’s Kindle device. This feature was added to the OxygenOS 4.5 and it is also available for the OnePlus 5 and the OnePlus 5T devices. While there are a lot of apps available in the Google Play Store for enabling reading mode on your device, having a native option that does it is always good and the reading mode in the OxygenOS is as accurate as the popular third party apps. What reading mode basically does is it adjusts the color produced by your device’s display to be more pleasant to the eyes. It does it by filtering the blue light emitted from your screen and turning it into a monochromatic like which does not affect your eyes as much as blue light does, especially when you are reading an e-book or just browsing through the web at night. 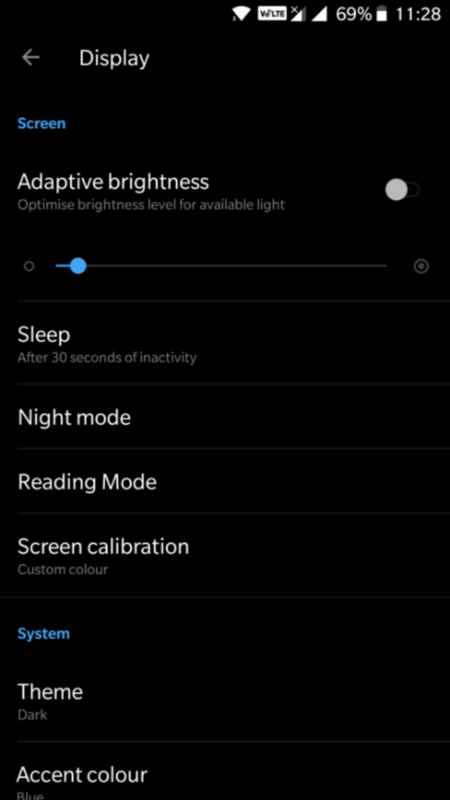 Research also suggests that enabling reading mode when you are using your device in a dark environment might actually help you sleep better as it impacts your circadian rhythm in a positive way. With so much blue light filtering and the reduction of colors emitted by your device, you could also significantly save your battery life. The reading mode in OxygenOS is also capable of switching back and forth to the normal mode when you watch a video or use your camera, which a lot of third party apps fail to do. Well, enough about the greatness of the reading mode, here is how to enable it on your OnePlus 5 or OnePlus 5T. Now scroll down and then select the Display submenu. Tap on the Reading mode option. You can also toggle reading mode from your Quick settings by clicking on the edit button and then dragging and dropping the reading mode toggle from the list of all available quick settings toggle. 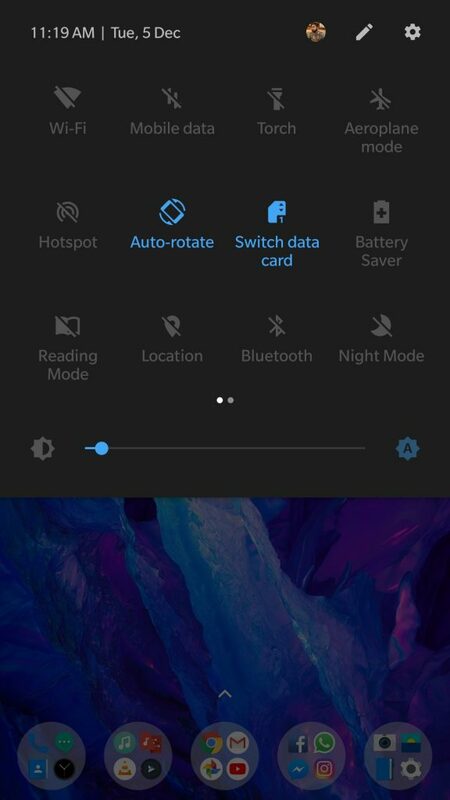 Now just the toggle the Turn on Reading mode toggle under the activate manually section to enable the reading mode on your OnePlus 5/5T. The reading mode will now be enabled on your device and the colour will be shifted to monochromatic grayscale kind of look. 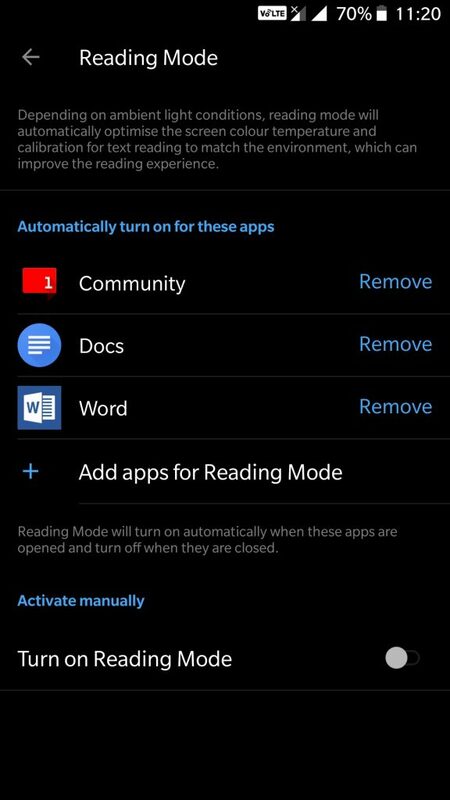 However, if you want the reading mode to be enabled only when you are using certain apps like your Ebook reader or your browser app, then just follow the below steps. 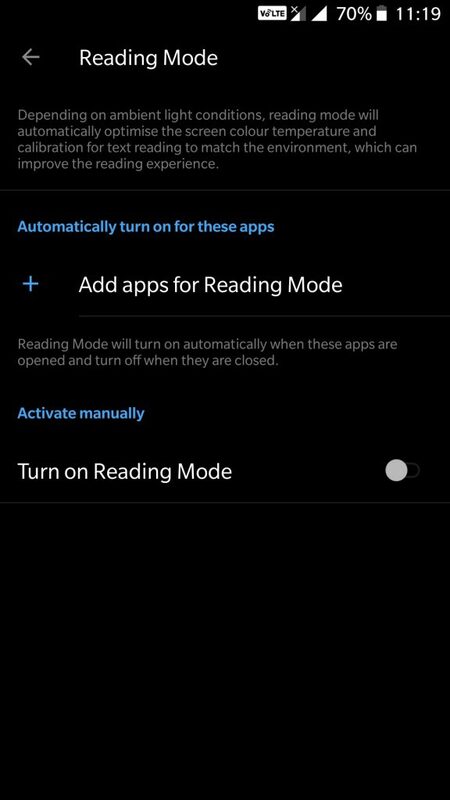 Just tap the ‘Add apps for Reading Mode’ option from within the Reading Mode settings. 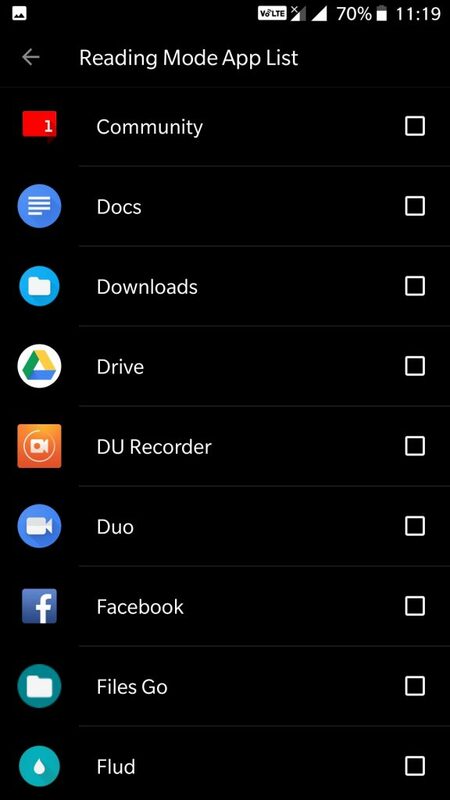 All you have to do now is to scroll down the list of apps installed on your device and then select the ones you want reading mode to enabled by default.